At the opening bell on Wall Street the Dow Jones Industrial Average plummeted as much as 1,000 points in the first minutes of trading. The Dow closed nearly 600 points down or over three-and-a-half percent in the red. The Nasdaq dropped eight percent at the start of trading, finishing down four percent. The S&P 500 had initially sunk five percent ended down nearly four percent. The grim data was predictable, as before the opening the Nasdaq 100 Index contract dropped 5 percent reaching its daily loss limit. Companies like Apple and Netflix also suffered from a massive sell-off, sinking at least 5.7 percent amid the panic triggered by Chinese stock markets collapse. Dow futures plummeting more than 800 points has allowed The New York Stock Exchange to apply Rule 48 for the Monday stock market open, according to Dow Jones. 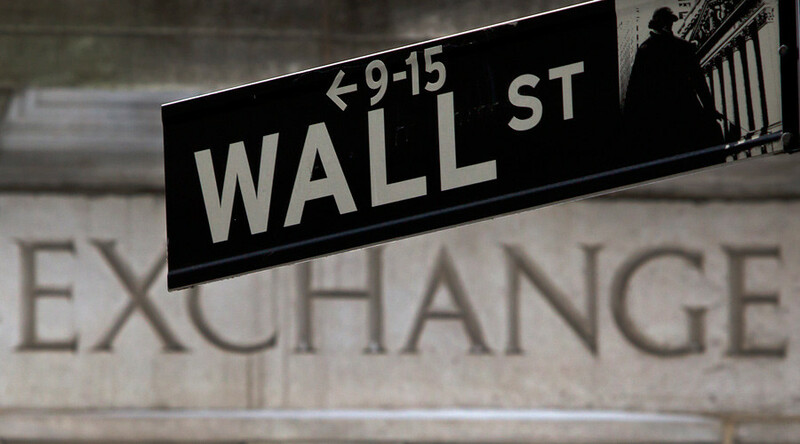 The rule was last invoked during the financial crisis, and allows the NYSE to open stocks without indication. "It was set up for situations like this," Art Hogan, chief market strategist at Wunderich Securities told CNBC. The Dow Jones Industrial Average dropped 1000 points or 6%, to 15,441. The collapse in the US markets was triggered by China where a brutal sell-off saw indexes down 8.5 percent on Monday. Beijing’s failure created a domino effect dragging down markets around the world. "Until we have some sign that China and the emerging markets aren't being sucked into some vortex from which they can't recover ... it is unlikely this sell-off will stem," Mark Luschini, chief investment strategist at Janney Montgomery Scott in Philadelphia told Reuters. London's FTSE finished the day down 288 points, or 4.67 percent, at 5898. Major markets in France and Germany ended the day down 5.5 percent and 4.96 percent, respectively. Market turmoil has also had in impact on commodity prices. Brent crude briefly dipped below $43 per barrel falling to $42.57 at 13:40 GMT, at the opening bell on Wall Street, but is now trading above $43. Meanwhile, the price of gold is on the up, trading 0.28 percent higher at $1,162.80 per troy ounce as investors look for a safe haven. Agriculture commodities are also being dragged down by the market collapse, as orange juice, cotton and lumber have lost more than three percent.